Sidelines (Melbourne) play slick, fast and melodic pop punk that has reminded me of SuchGold/StorySoFar since I first heard them. The live set from these lads is a great thing to watch, lots of energy, moves and showcases the bands control of their instruments. The band is incrementally moving away from the US-melodic-punk thing and finding their own unique groove but producing top notch jams along the way. The debut EP (Progression / 2013) was hella tight, punchy and loaded with riffs and good vibes.. but the newest release and subject of this write up is a split between Sidelines and Perth’s ‘Lowlight’ with both bands bringing 2 new songs to the offering. 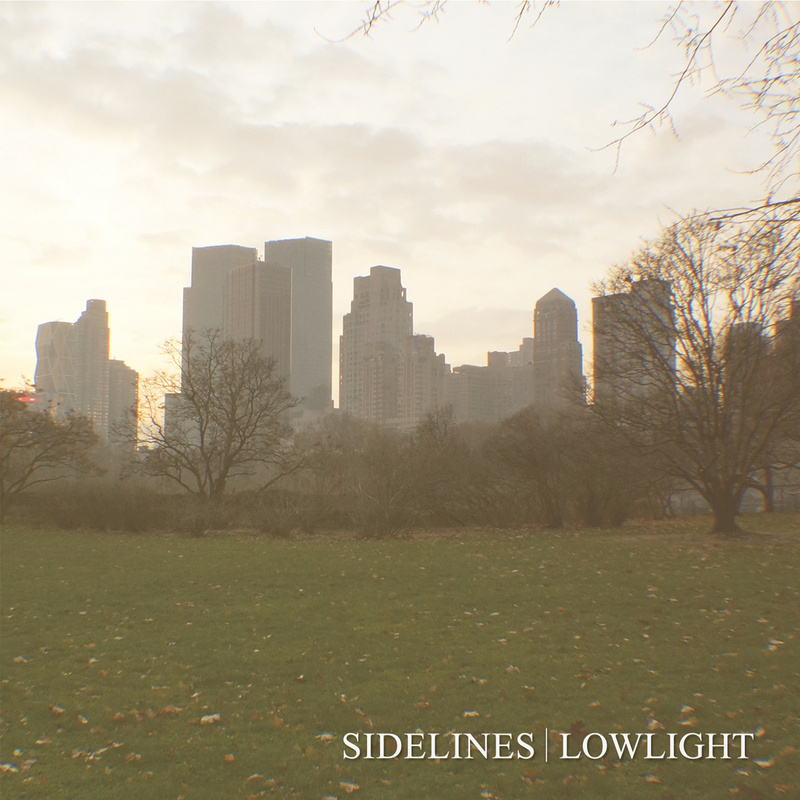 Sidelines contribution has everything that stood out on the ‘Progression EP’ but perhaps with a little more maturity, better production and a healthy dosing of ‘gimme more-ness’. Hooking up split’s between bands always serves both parties well and in this case Sidelines have paired up with a band from one of the most remote and isolates communities in Australia..Perth. Such a beautiful place, such good bands..so damn far away. Check out the split and turn it up loud! I really look forward to more from these guys, they incorporate lead breaks/solos, double time, memorable choruses and group vocals, big break downs…what more could you want! Accoustic side project from awesome pop punk band anyone? 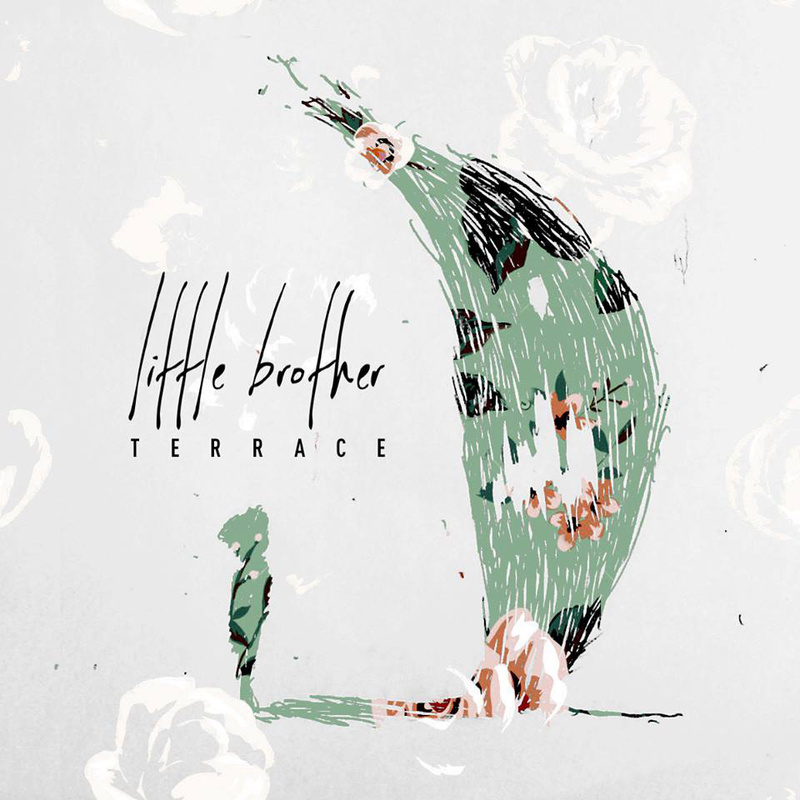 Following in the tradition of unique pop-punk vocalists before him, John Floreani has taken time away from fronting the ever popular Trophy Eyes to release a solo acoustic EP titled ‘Terrace’ under the moniker of ‘Little Brother’. Now..Trophy Eyes are a damn good band and bring a great energy to the stage but when you listen to their recordings its John’s voice that really sells it. This release is showcasing that element 100% and stripping away all the cool riffs, drums and punk energy give’s a really contrasting view to what’s unique about both John and Trophy Eyes. His story telling and honesty are full frontal and you can not deny that this guy wears his heart on his sleeve. This is a one guy – one guitar kind of recording, not unlike Chuck Ragan’s (Hot Water Music) or even Matt Kerek’s (Citizen) solo stuff. It comes across authentic and sincere and for that fact alone you should give this 15 minutes of your time. Such things are a rarity these days. i cant un-see this…and i wish i could..
Based in the eastern suburbs of Melbourne 4 piece pop punk band ‘Intimate Apparel’ have nailed the early 2000’s pop punk sound by channelling the spirits of Sum 41/Guttermouth/Unwritten Law and adding a healthy dose of Aussie accents and attitude. What works: the mix and production is spot on for the sound they’re going for. It’s all clear and present, the guitars sound suitably big, panned nice and wide. The vocals are right up front and accompanied by some nice harmonies and backings. The songs don’t go for too long, they have a few fun bits and it’s easy to see they arn’t taking themselves too seriously. Dopey Villain’ has a great weezer-geek-rock vibe to it and a big halftime breakdown at the end. The band released a video for the song on YouTube so go look that up for a bit of fun. It’s an easy standout amongst this batch of songs and id like to hear more like it. Fairer Moans’ has a quirky and playful sound to it thanks largely to the guitar parts and up tempo pace. There’s a catchy chorus and some neat gang vox at the end to add to the charm. Sling King’ makes use of some double time and palm muted guitars …very pop punk. The vocal duties are shared on this one and the addition of extra voices helps to break things up from the hoarse/shouted delivery that leads the band. Criticisms: the same generic sounds all the way through leave me wanting to hear some diversity. The sound is appropriate but not inventive. The band is emulating their influences..but yeh yeh we’ve all done that. Id prefer to hear more Vines/Weezer than Blink/Frenzal though to be honest.